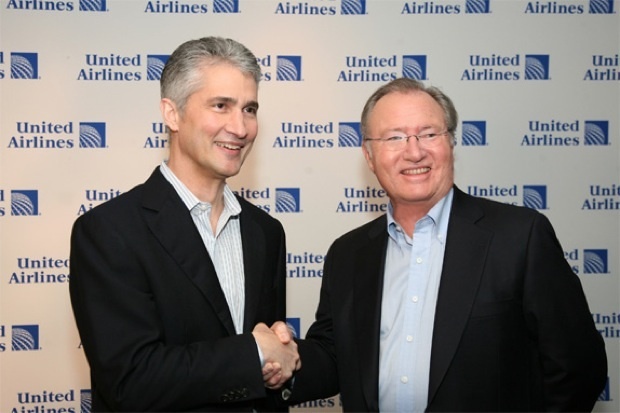 The airline merger is a big loser for United, who may have kept the name but lost all of its rich brand equity–including double ties to a legendary designer. I had looked at United’s “new” logo several times but each time my eyes had scanned the familiar forms and registered it in my brain as “Continental.” And that’s a big problem. 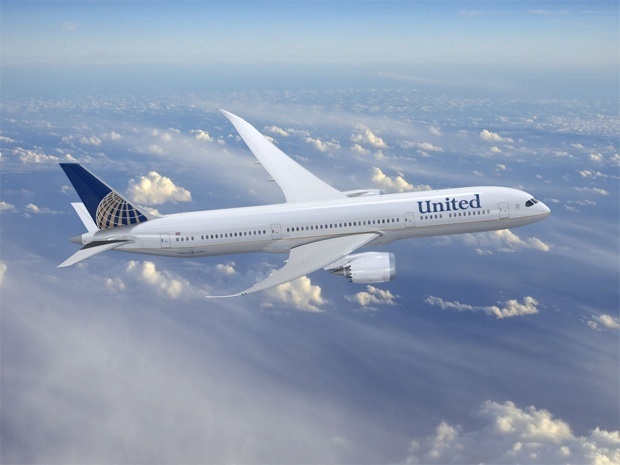 Unless, of course, the merger agreement included a clause that insisted United would be stripped of every last bit of its brand equity. United’s identity has had an interesting history. Early wordmarks for plane’s tails were designed by famed industrial designer Raymond Loewy. 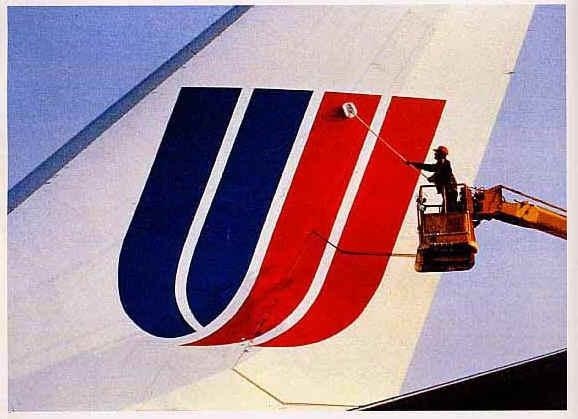 But the logo that everyone has associated with United for over 30 years is the distinctive U designed by legend Saul Bass in 1973. The logo received an update to its text in 1992, by CKS Partners, and again in 1997 by Pentagram (above). But they always kept the U. That elegant, understated U. Can we all pause for a moment of silence for that beautiful U? But here’s the kicker. 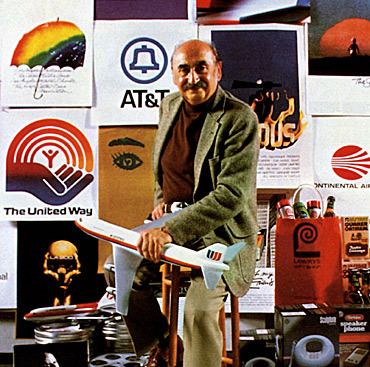 Remember Saul Bass, the designer of this beautiful U, shown here holding that U-adorned United plane in his hand? Look to the right, just behind him. In an ironic twist, Bass also designed an early logo for Continental, in 1968. Of course, they abandoned it soon enough for the blue, boring whiffle ball that now belongs to United. Monday’s merger was landmark in more than one way: Two airlines with fantastically rich design legacies chose to sever a shared history with one of the world’s greatest designers and go forward with blah. identities? Or did they not want to pay a designer to come up with something new? Is this really happening? It feels like some kind of alternate-universe bad design dream. Of course, it could have gone the other way, notes Prescott Perez-Fox, who dropped this concept in Brand New’s comments. Somehow, I think I would have been okay with that.